Do you use FreeDNS and get mysterious requests to attach to your domain? FreeDNS is a DNS hosting service that allows other users to add subdomains to your domains by default, conditional on your approval. I receive many requests such as the following, but the destinations are always offline when I investigate. In these cases, these subdomains are briefly active from the time of creation until I delete them. The limit is 50 certificates per domain per week (excluding renewals), and this week I haven't attempted to get any new certificates. All in all, 182 certificates issued for zhfx.schlachter.ca! This is the same subdomain that a user had created on schlachter.ca earlier in the week. I assume many of the certificates listed are 'renewals' that don't count against the 50 certificates per domain per week. Are any of these subdomains online and offering any services? Here's a representative port scan with nmap. Every instance has four open ports: 21 (FTP), 80 (HTTP), 443 (HTTPS), and 554 (RTSP). A few have port 7070 (REAL Server?) open as well. Connection attempts on ports 21, 554, and 7070 all time out. The pages all have the same title, and exist in two variants, as shown by the MD5 hashes. Ironically, none of the instances are accessible using TLS, despite the rate-limit-triggering certificate requests to Let's Encrypt. The page title mentions the Node Unblocker package, but the footer links to the GitHub project gfw-breaker/heroku-node-proxy. This appears to be an easily-deployable packaging of the former. 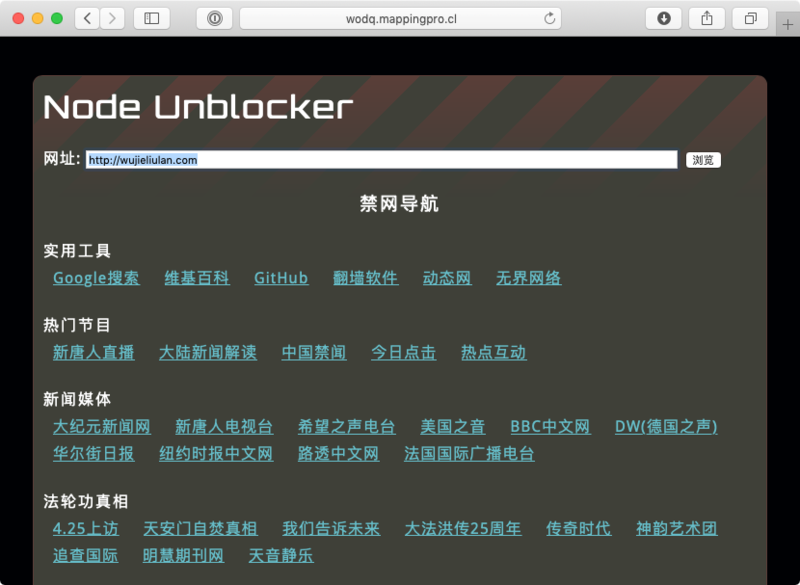 The heroku-node-proxy repository links to what looks to be a Falun Gong news site. 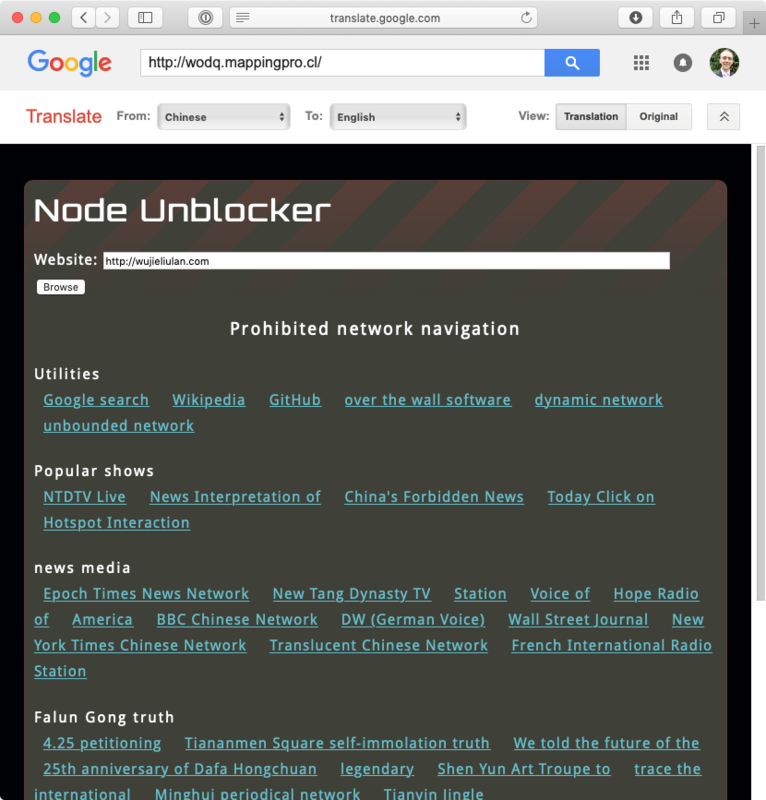 Conclusion: an organisation is deploying Heroku instances provisioned with an implementation of Node Unblocker for censorship evasion, apparently in China. FreeDNS is used to recruit subdomains which provide access to nodes. Let's Encrypt is used to provide secure connections to these subdomains, though this feature is apparently not yet operational.